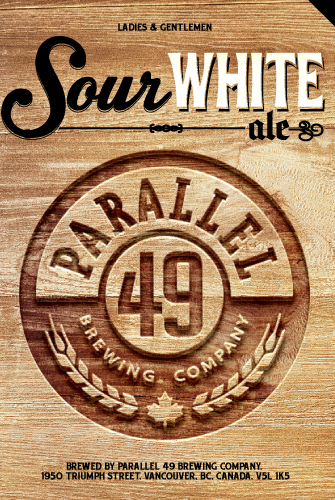 Description: This rarity from P49 takes the traditional Gose – a beer native to Leipzig, Germany that combines wheat and barley malt malt with sea salt – and then builds on it by aging it in Tequila barrels for 9 months. This combination alludes to tequila shots, complete with a salt lick and a squeeze of lime! Tasting Notes: This brew does what it sets out to do, which is to allude to the ritual of Tequila shots. However, this is not a drinking experience that I was ever fond of, so I really didn’t like it in this beer. It is light and somewhat refreshing, but its weak malt is paired with some strong sour flavors – yeast and lime juice – and a hint of salt. This makes for some unappetizing flavor, in my opinion, sad to say. Description: The third installment in their “Hulk Series” – named for the decommissioned vessels that make up the floating breakwater in Powell River – Cardena is a Belgian-style Quadrupel ale. And since 2015, they have be re-releasing this ale as part of the breweries new barrel-aged lineup, where established brews are aged in whiskey barrels. Tasting Notes: I loved Cardena when I first tried it. In fact, it would be fair to say that it was one of the best beers I had in 2014. So I was a little intrigued and surprised by the addition of the barrel-aging process, which I’ve had mixed experiences with. In this case, the end resuilt was interesting, but a bit perplexing. On the one hand, you have all that was great about the Cardena. A strong Abbey-style ale rich with notes of brown sugar, dates, raisins, and figgy pudding. But add to that the bite of whiskey and the end result was (and I’m not bullshitting here) a bit like blue cheese! It was the oddest thing, getting a taste I immediately recognized but couldn’t quite place. And then I remembered the last time i had hot wings or a spinach salad! Ordinarily, I love blue cheese, but not so much in my beer. So I had to give this one a slightly mixed review. Great to be branching out, but 2016’s Barrel aged Cardena is not quite what I was hoping for. Description: As part of the breweries Sour/Wild lineup, this stout is brewed at their branch plant in D’Proef, Belgium. It is fashioned using dark-roasted malts that are then fermented with brettanomyces yeast before being aged in Sauterne (French sweet wine) barrels for a complex flavor. Tasting Notes: This was an odd combination, and one which works on some levels, but not others. It combines a stout base, with all the bitter notes of coffee and dark malt, and the addition of brettanomyces yeast adds a dimension of sour cherry and lactic acid that gives it a certain bite. These seem a bit at odds, and very little of the Sauterne wine comes through, except at the tail end of things. Not the best combination beer, in my humble opinion, but certainly an interesting one. 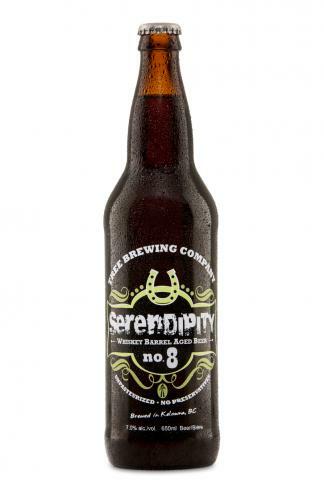 Description: The second beer in Tree’s limited-run barrel-aged series, Serendipity is a combination of their Wild Ruby Raspberry Ale and Black IPA, which is then aged for 169 days in whiskey barrels. Tasting Notes: This beer is a bit of an enigma to this Beer Snob. For one, combining two very disparate styles (a raspberry ale and a black IPA) can only be expected to yield strange combination. But to then age them in a whiskey barrel to further enhance/influence the flavor, that’s just plain nuts! Luckily, this gambit seems to have paid off with the Serendipity. The Black IPA provides a good firm malt base while the Raspberry Ale manages to smooth out the rough edges. This is then complimented to a good extent by the presence of smokey, peaty whiskey flavor. Not a conventional brew by any standard, but one that works.